Earlier this week, Microsoft unveiled new smartphones Lumia 950, Lumia 950 XL and Lumia 550 running the operating system Windows 10. Shortly after the event third-party manufacturers have announced accessories designed specifically for the new devices. At the same time Microsoft wants users to buy its smartphone accessories that will work with them well. That is why the company has launched a certification program for companies interested in the production of official accessories line of Lumia. To obtain a certificate Designed for Microsoft Lumia, accessory manufacturers will have to comply with the rules and requirements of Microsoft. Thus, buying a case or any accessory with a corresponding mark you can be sure that they are compatible with your smartphone. 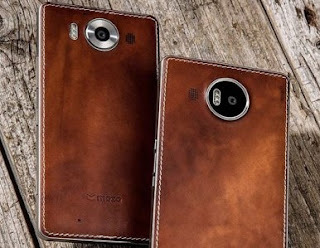 Currently, only two manufacturers of covers received certification from Microsoft – Mozo and Krusell. The first company submitted a case-book for Lumia 950, and plans to release Mozo removable rear cover made of leather and metal.